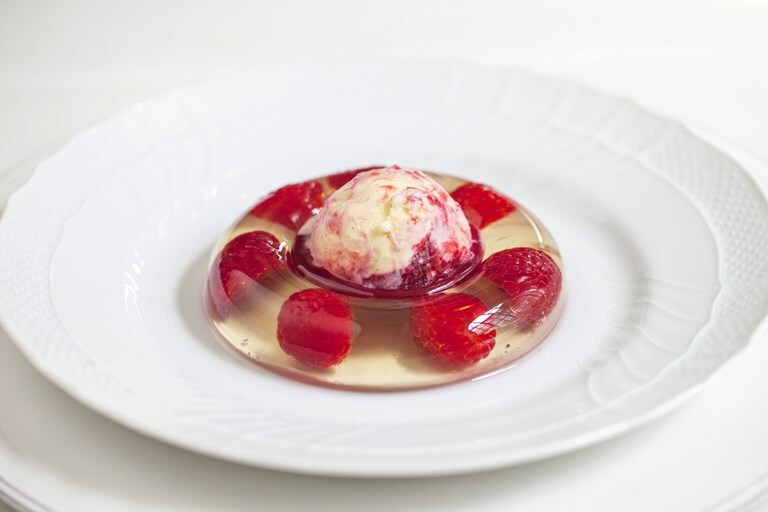 Chef Mark Hix has always been a fan of jellies, as reflected by his winning dessert on the Great British Menu, 2007. This version uses English sparkling wine and raspberries, but this recipe can be easily adapted to use cider, perry, or for a non-alcoholic version, elderflower cordial. Serve with raspberry ripple ice cream.